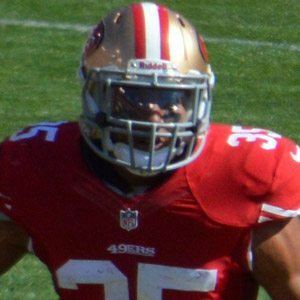 Safety who made his NFL debut in 2013 for the San Francisco 49ers, where he made the Pro Bowl as a rookie. He was a standout player at LSU, where he was an All-American in 2012 before being selected 18th overall in the 2013 NFL draft. He recorded interceptions in his first two NFL games, against Green Bay and Seattle. His parents are Eric and Sharon Reid. As a rookie he was the 49ers starting safety opposite Donte Whitner.